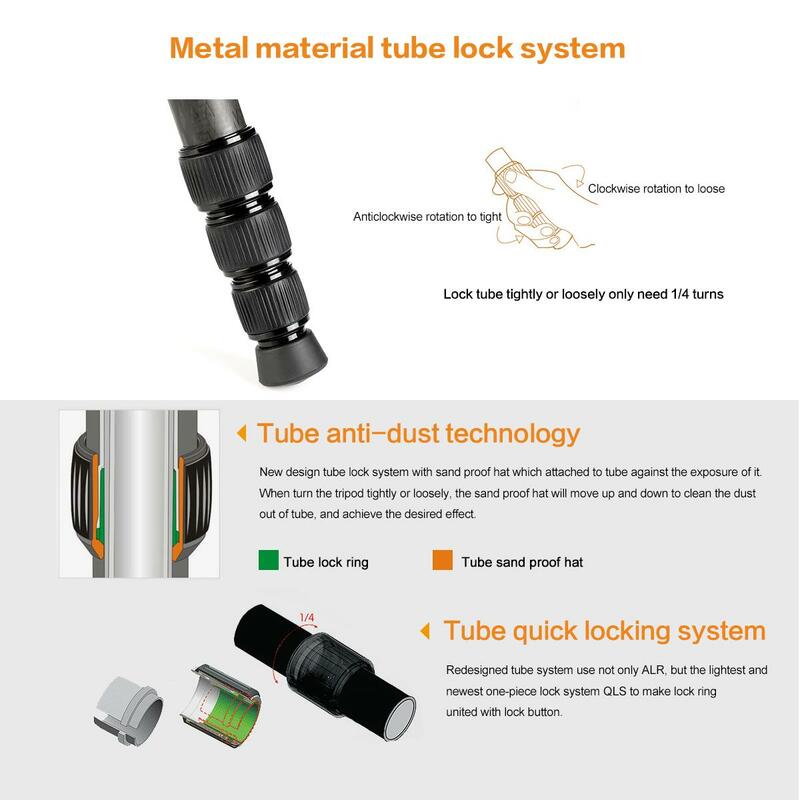 • New generation of high-density carbon fiber tube, using eight layer different angles carbon fiber staggered laminated, high temperature curing, high pressure strengthening polymeric structure. 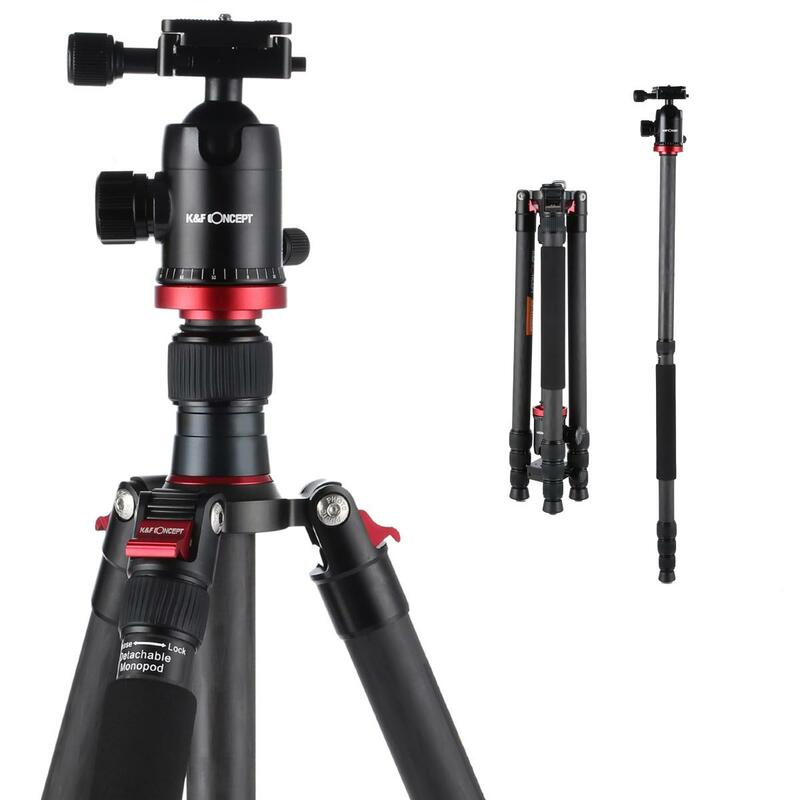 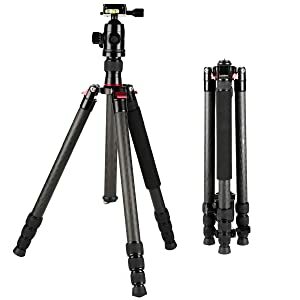 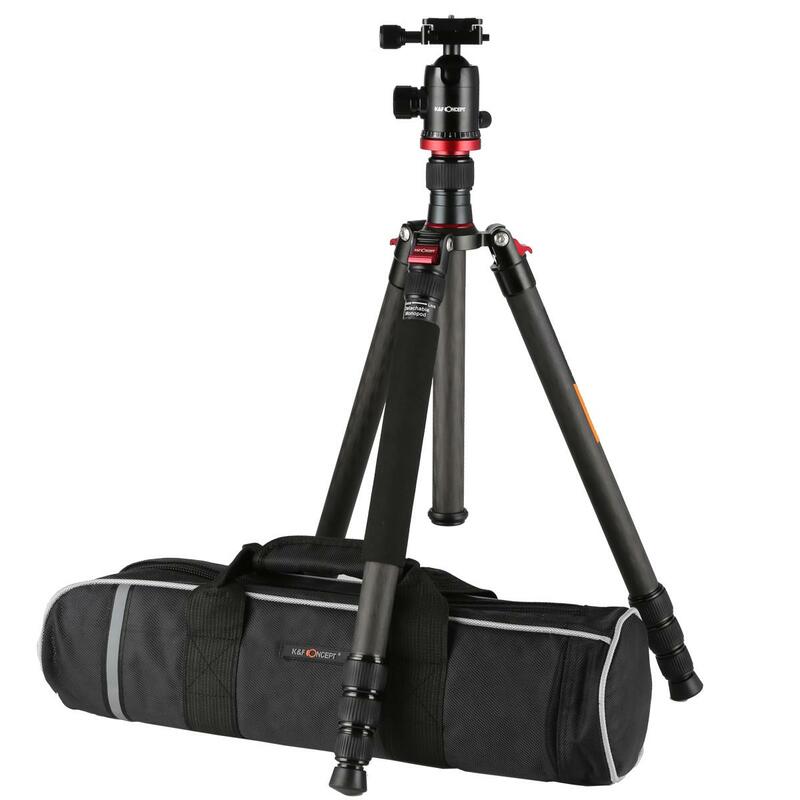 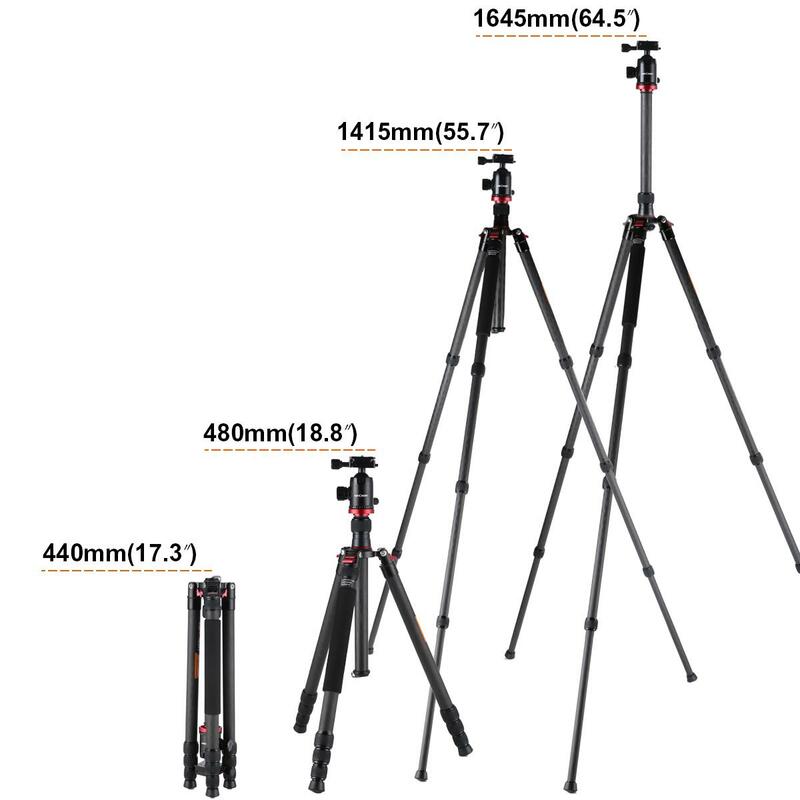 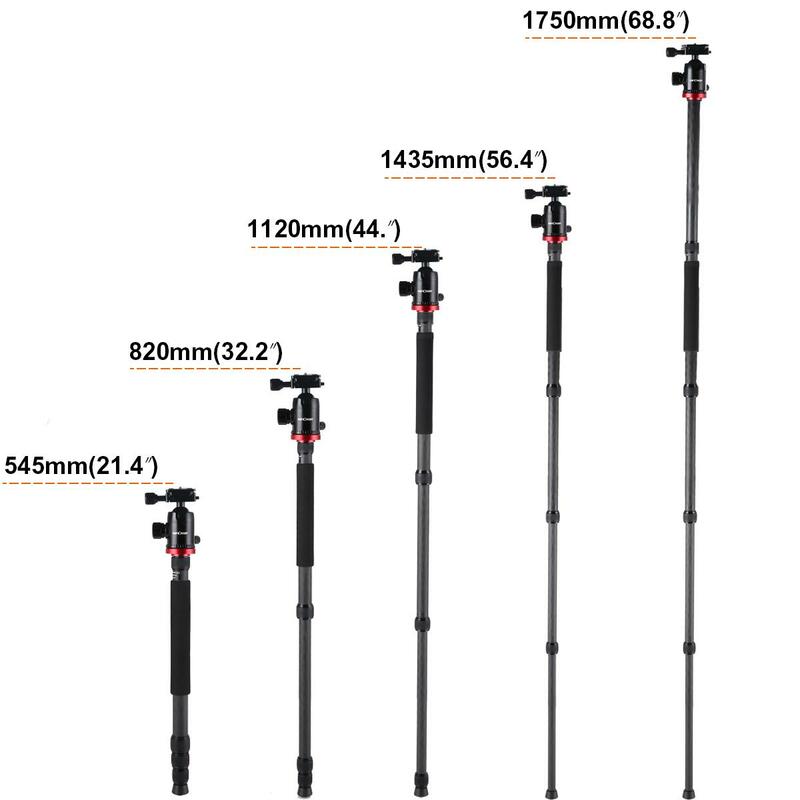 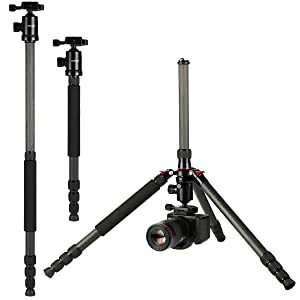 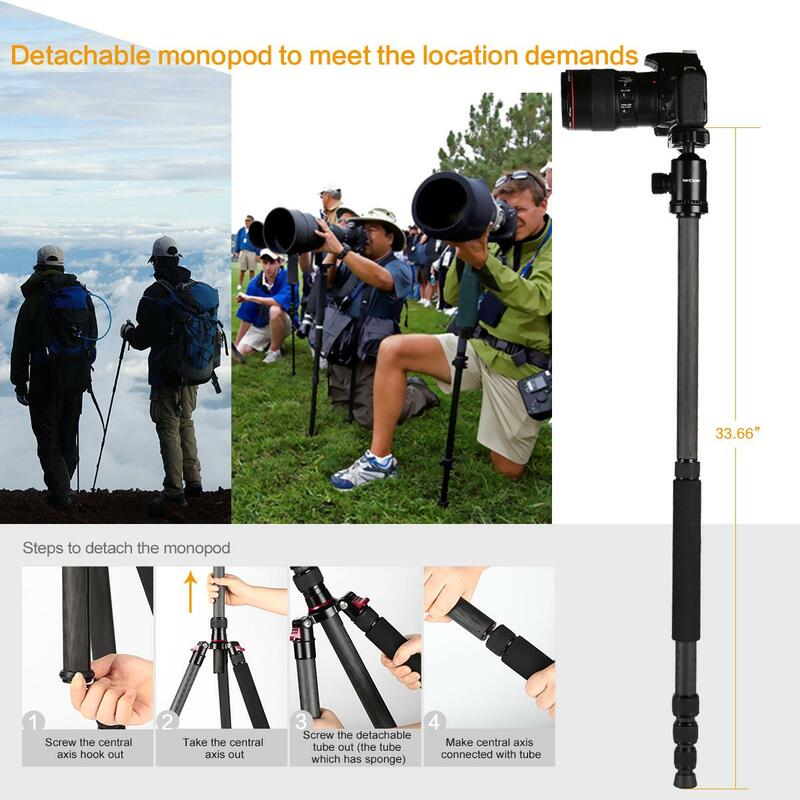 • This Carbon Fiber Tripod have an extra function, one of the leg can be used to monopod or alpenstock. 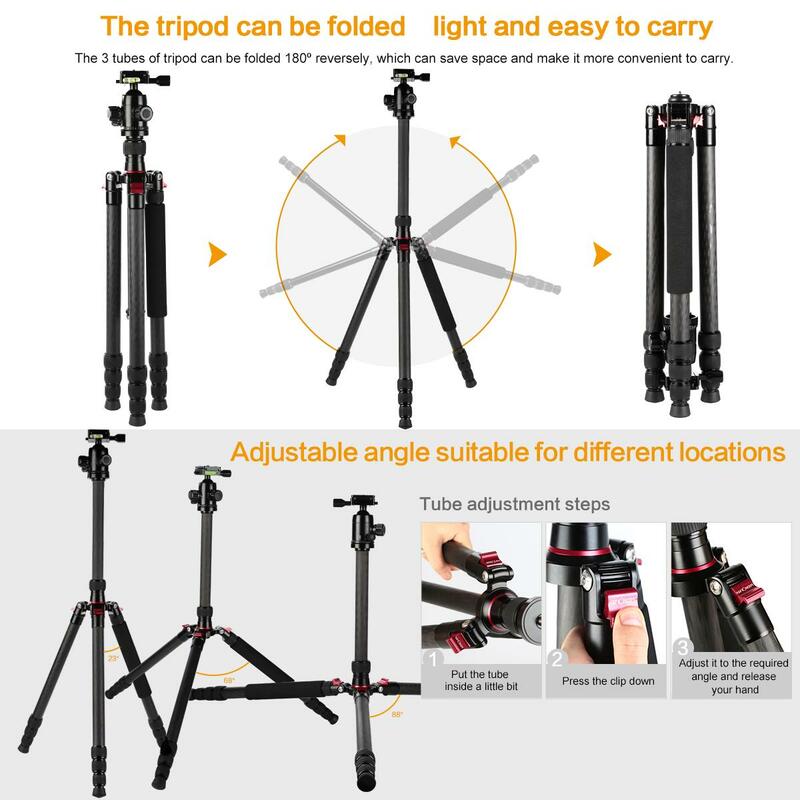 It is light and convenient, also give you other choice. 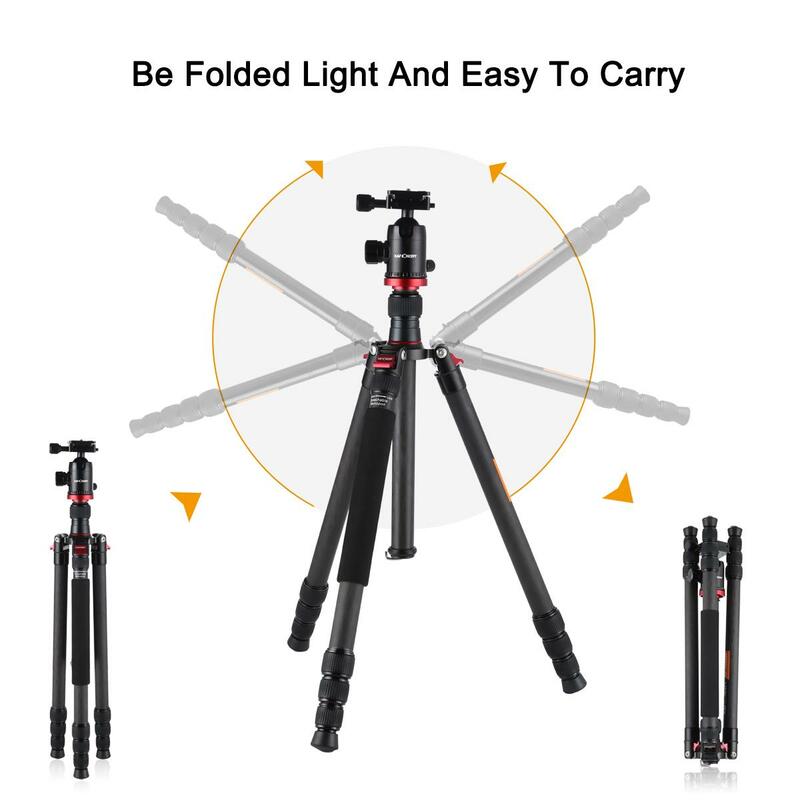 • 3. 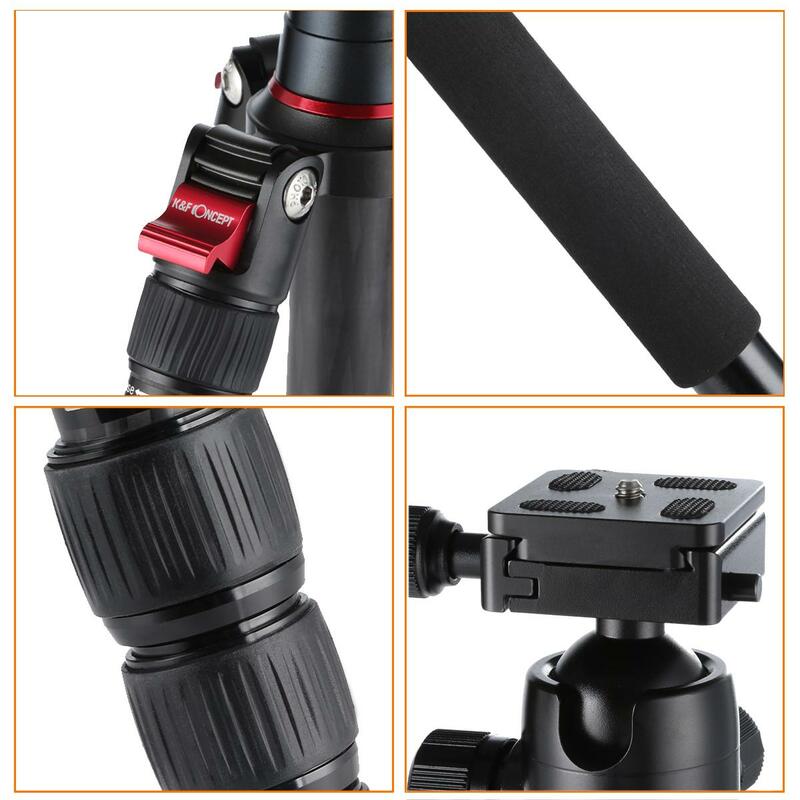 Replaceable foot spikes: rubber foot pads can be replaced to foot spikes (KF not provides) according to the ground. 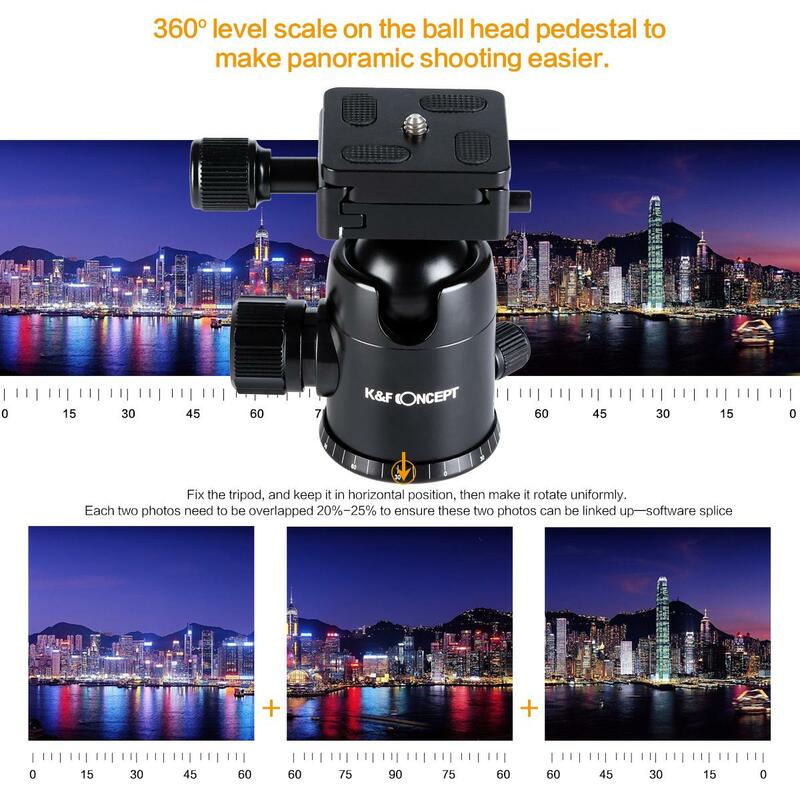 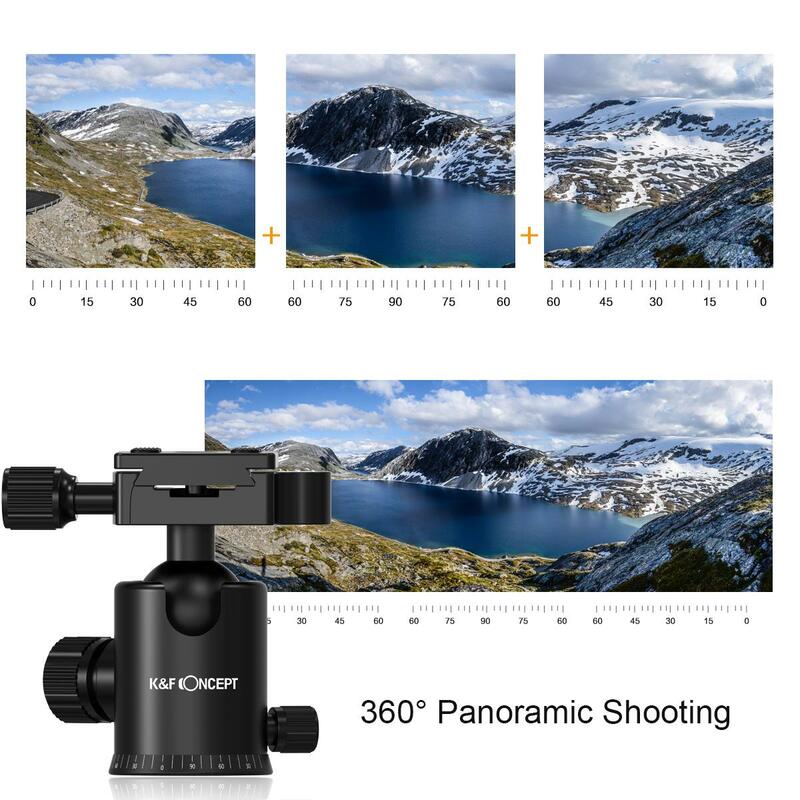 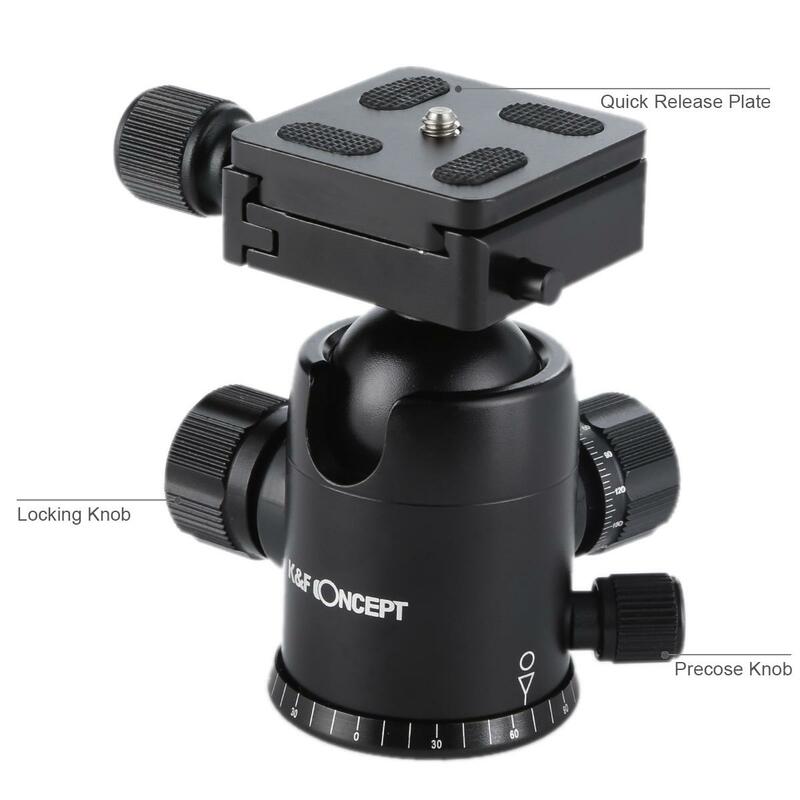 • Screw the quick-release mounting plate onto your camera and with the push of a button you can remove your camera from the tripod for mobility. 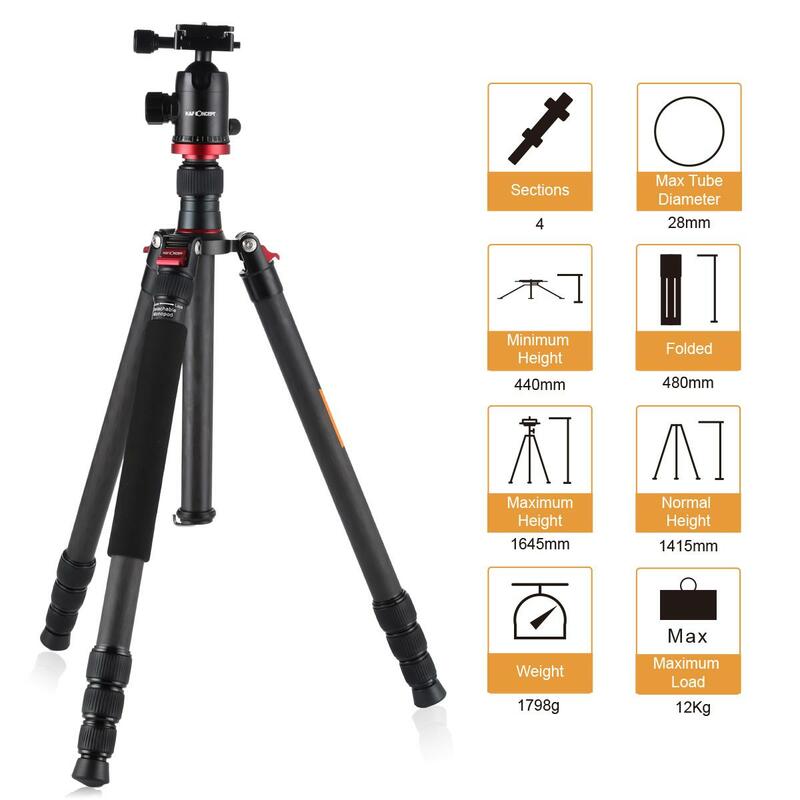 Rotating leg locks control four adjustable leg sections that glide in and out with ease, offers you a height range of 17.32" to 65.59"
• Automatic stability suspension system. 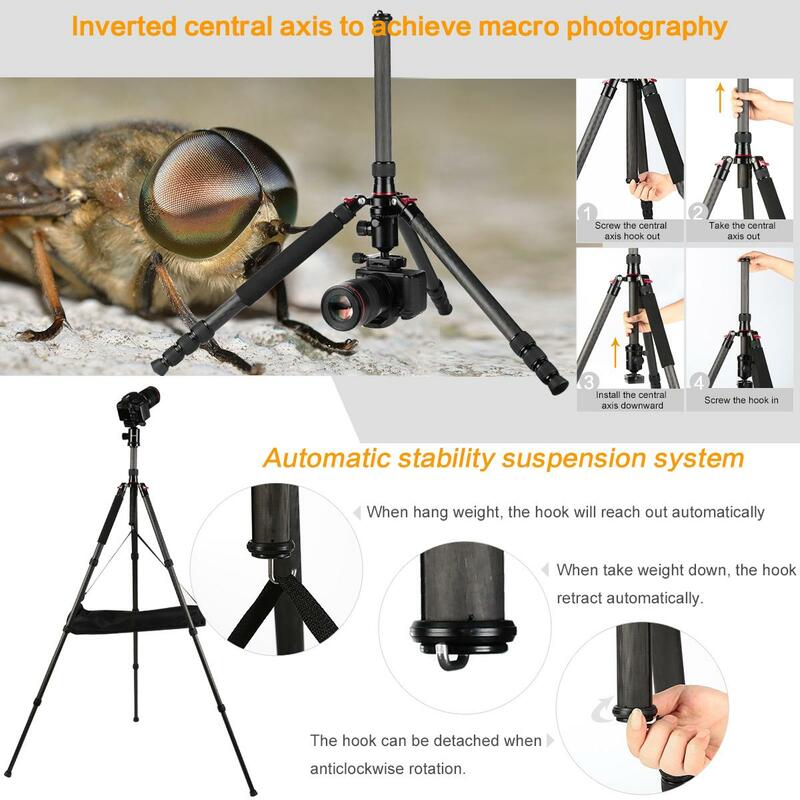 When hang weight, the hook reaches out automatically, and retract when take weight down.